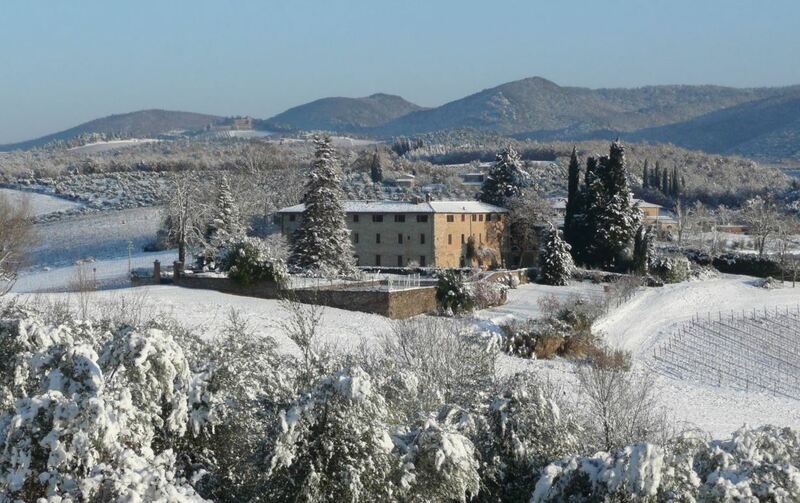 Castello di Bossi is located in the southern half of the Chianti Classico production zone, in the Commune of Castelnuovo Berardenga. The Family Castle itself is located at the center of the estate. The first tower, built in about 1099, shows the early strategic importance of the area as yet another guardian of Florence. In about 1450 the castle was expanded into the 4-walled fortress seen today. We’ve covered the wines from Castello di Bossi extensively on Tuscan Vines. Generally, the wines are of very high quality and typically at great value. Recent examples can be referenced here: New Release Classico and here: Girolamo Merlot. The Castello di Bossi estate extends over 650 hectares, 124 of which are under vine. Cabernet, Merlot, Sangiovese and other indigenous varietals are grown. Recently, the estate has been on the cutting edge of organic and minimalist practices, including the installation of a large solar farm on site that generates almost all of the estates electrical needs. 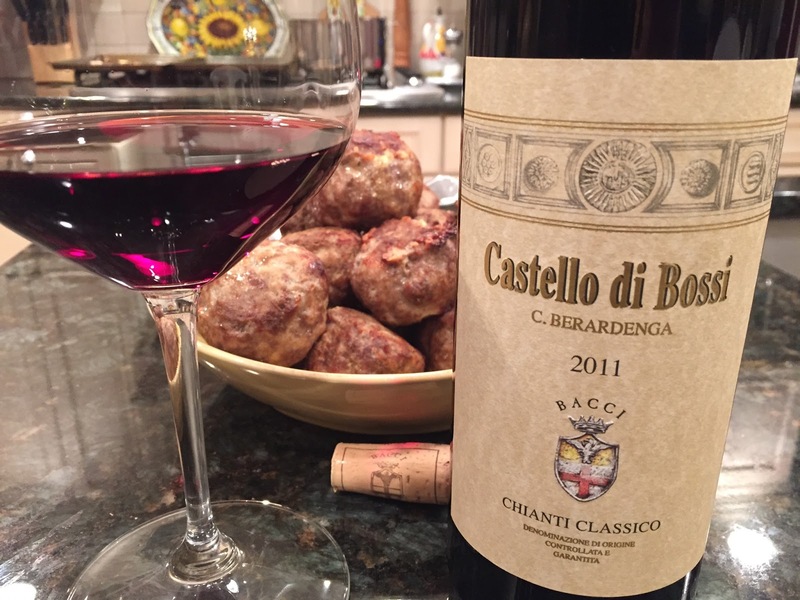 Today we’re looking at the estate’s recent release, the Castello di Bossi 2011 Chianti Classico. In the glass, the wine is a medium ruby color with violet reflections. Typical aromas of red berries, spice, leaf tobacco and herbs are prevalent and well haromonized. Flavors generally follow the nose and while the wine is well made and tasty, it falls short of some of Bossi’s previous efforts. Perhaps I expect too much, but the 2009 and 2010 were much better values than the instant vintage. Moderate finish is smooth and simple. We tasted this along with “Roman Polpetti” and assorted vegetables. 87 points, about $19.